Mexico, one of the founding Mission Innovation members, is investing in people to prepare them for the challenge of transforming the energy sector. Currently, the Ministry of Energy of Mexico (SENER) sponsors 2,800 Mexican postgrad students around the world and contributes to energy education with tailored energy training programs at schools, universities, and for professionals, reaching over 76,000 people. Carlos Ortiz, the Director General for Research and Talent Development at SENER, highlighted the importance of this initiative in addressing the clean energy innovation challenge. 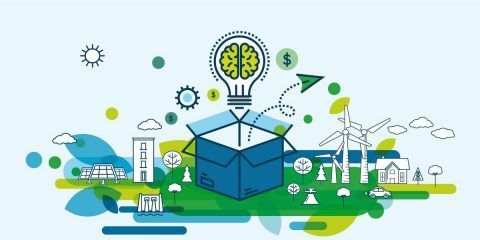 Ortiz emphasised the need for Mission Innovation members to be bold in their goal to accelerate clean energy innovation, adding that incremental changes will not do – disruptive innovation is required. He acknowledged that the combined efforts of MI Member countries have the potential for significant impact, but stated that new models of collaboration, robust knowledge-sharing and handling of intellectual property issues are needed to make the step-change needed. Recognition of the importance of private sector engagement in clean energy innovation is demonstrated by Mexico’s co-leadership of MI’s Business & Investor Engagement sub-group and by being one the five MI members working in deeper partnership with the Breakthrough Energy Coalition (BEC) to support private sector engagement in clean energy innovation. In addition, Mexico’s SENER recently launched the 2018 Clean Energy Prize (Prodetes). Launched in February 2018, this prize will award $4.2 million USD in grants for the deployment of technology into the market, bridging the gap between research and commercial deployment. A total of $8 million USD was awarded to small Mexican clean energy technology start-ups in previous rounds of this prize. The 2018 Prize competition represents an opportunity for collaboration between Mexican and international partners, recognising the benefits of such cooperation. Mexico is also supporting international teamwork through a Call for Proposals for smart grids projects that will be launched in February 2018. Up to 40% of the $25 million USD allocated to this Call will be available to support the participation of organisations from MI countries in collaborative projects with Mexican organisations. The benefits of accelerating innovation by providing support to international partners has been demonstrated in previous programs in Mexico, challenging the view that national budgets should be invested solely in the home country. Moreover, Mexico is a participant in all the MI Innovation Challenges and is a co-lead of IC#6 on Clean Energy Materials, with the US and Canada. Mexico continues to demonstrate its commitment to this area through a planned cooperation agreement with Canada. In this collaboration, each country is planning to follow the recommendations and vision presented in the recently published expert workshop report titled “Materials Acceleration Platforms.” More details of recent IC#6 activity can be found in this month’s Innovation Challenge article. A CO2 Storage/Enhanced Oil Recovery project. The five existing Mexican research clusters on biofuels, coordinated by CEMIEBio, are now working in cooperation with IC#4 participants. For example, five delegates from Mexico will attend the conference on sustainable biofuel in New Delhi at the end of February 2018. Following the conference, a $5 million USD dollar investment in identified research areas is expected. Mexico’s commitment to MI is clear through its engagement with the ICs, BIE Sub-Group and the provision of resource to the MI Secretariat. 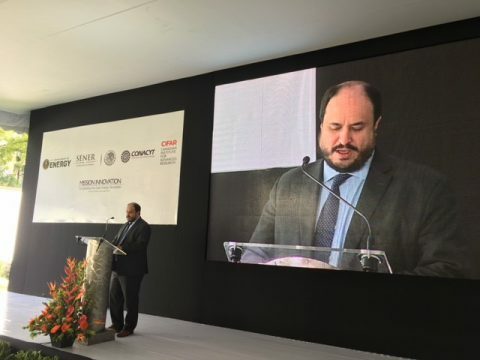 Ortiz explained that the benefits of this engagement include the increased profile of Mexico’s clean energy innovation activity and the collaboration opportunities that are arising. With its investment in wide-ranging research areas, pre-commercial deployment and its trained future leaders, Mexico is well placed to contribute to MI’s ambitious plans. If you are interested in exploring opportunities for collaboration or would like more information on any of the other subjects please contact Carlos Ortiz.